This and the Pivot looked like an interesting combo. This is very different from Luxe boards. No-nose boards are getting really popular with a few different surf brands, Luxe is just one of them. Luxe boards have a very different rail to almost everything else on the market. Also, look at the channels on this thing, you wont find them on a Luxe board. A head to head review would be interesting. Will be interesting to see how the no-nose thing takes off with kiters, kinda reminds me of the mutant faze. 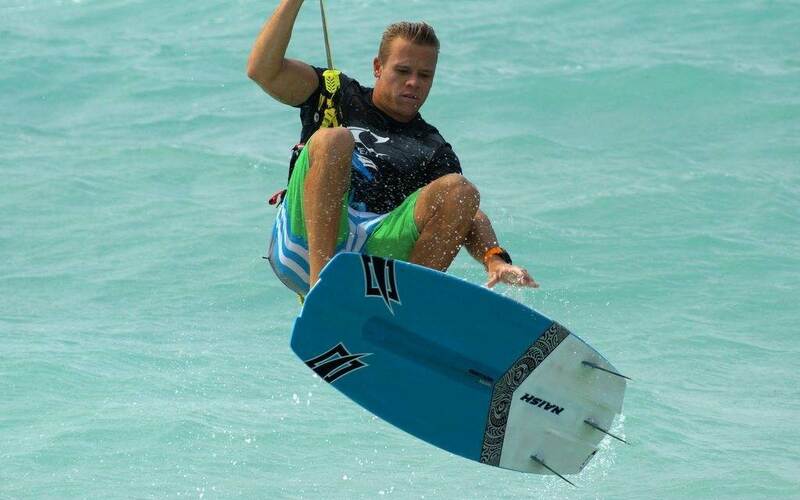 This is a sneak peak of the new 2015 Naish Kiteboarding Skater. Nearly too much fun to ride, and definitely my board for this season for onshore and east coast waves. Got to ride it in shoulder high and surf's amazing, but the real fun comes when you start playing with unstrapped airs and wave-freestlye moves on the waves. Very exciting. Launch August 1st. The board comes without straps as this is it's intended purpose like in previous years of Skater. However there is strap inserts in a 2 strap configuration if you wanted to strap it up. But I think you'll find, you'll want to ride it strapless. Except if you want to ride straps you would be better off with a Global! Global is same concept as previous years refined for 2015. The "Vangaurd" style as you put it is not suited to that style of board.